The CHU de Liège is continuously improving its patient-centered care through teamwork and collaboration with the ULg and with external partners. 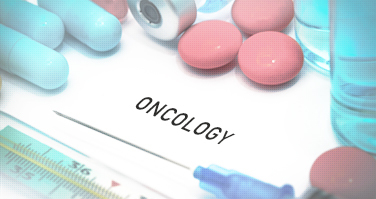 Discover our research activities, initiatives and projects in oncology. Hematopoietic stem cell transplantation (HSCT) remains the treatment of choice for many hematological malignancies. The success of HSCT relies on a long-term complete immune reconstitution in the patient after the transplantation. Several factors can affect the efficacy of HSCT such as the patient’s age and the initial disease, the source of cells and the degree of compatibility of the transplant. In fact, a suboptimal degree of compatibility may cause the emergence of graft-versus-host disease, a possible adverse effect of HSCT. Following transplantation a de novo production of mature lymphocytes will occur. This process is called immune recovery. Unfortunately, thyme recovery, a central part of the immune recovery process, is a slow process and the degree at which it occurs is affected by the conditioning regimen administered to the patient before the transplantation procedure and by the occurrence of graft-versus-host disease. IGF-1 is a key mediator of the somatotropic axis (Ghrh-GH-IGF-1) and plays crucial roles in many metabolic processes. Interestingly, IGF-1 can also act on the thymus and influence lymphocyte production. Researchers at GIGA and CHU are investigating the impact of IGF-1 on thymic recovery in the context of allogeneic HCST. The second part of their research is focused on the treatment of chronic GVHD with different immunosuppressive drugs. After treatment, clinicians aim at making a distinction between the effects of these drugs on thymic recovery and on cGVHD itself. This will lead to a better insight into how these drugs function in patients with cGVHD. Interested in these projects? Drop us an email [info@b2h.be]. We are looking forward to collaborating with you! Allogeneic hematopoietic cell transplantation (allo-HCT) following a high or reduced dose-conditioning regimen is an usual treatment option for many patients with hematological disorders. Unfortunately, two major complications, infections and/or graft-versus-host disease (GVHD), compromise too frequently the survival or the quality of life of these patients. The goal of these studies is to develop new treatment strategies to improve thymo-dependent immune recovery (in particular in older patients) and so to reduce the infection rate and the GVHD risk. Another part of their research focus is on the implication of T-reg in GVHD. In particular, a clinical trial is ongoing to compare the clinical and immunological impact on steroid refractory chronic GVHD of the infusion (or not) of donor T-reg after a treatment with rapamycin. 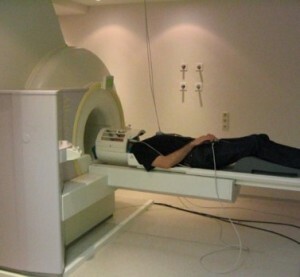 This project is realized in collaboration with the KU Leuven. Hematopoietic stem cell transplantation offers potential curative treatment for a wide range of hematological diseases. This therapeutic approach must face multiple challenges. The primary aim is obviously to control the underlying disease. However, the success of hematopoietic stem cell transplantation also relies on complete recovery of hematopoietic functions, limitation of transplant-related toxicity and morbidity and reconstitution of a fully efficient adaptive immune system at long-term. Several pre-transplant factors (such as patient-, disease-, transplant or graft-related factors) may condition the long-term success of hematopoietic stem cell transplantation. Researchers at GIGA and CHU assess the effects of 1) graft’s source (bone marrow versus peripheral blood versus cord blood), 2) donor’s characteristics, 3) graft’s composition and 4) graft’s modulation on post-transplant outcomes. Allogeneic hematopoietic stem cell transplantation (allo-HCT) is an effective treatment for many hematological malignancies, but patients have prolonged anemia after transplantation. This anemia is facilitated by a relative erythropoietin (Epo) deficiency and patients may benefit from treatment with recombinant human erythropoietin (RhEPO). Iron metabolism has not been extensively studied after HSC transplantation, with only a few publications including hepcidin (the key regulator of iron metabolism). Post-transfusional iron overload decreases only slowly after transplantation. In addition, after conditioning, ferritin levels are markedly elevated before progressively declining. Iron overload has also been associated with early and late hepatic complications, veno-occlusive disease, infections, relapse and decreased survival. Researchers and clinicians at GIGA aim at determining the predictive factors of response to RhEPO in patients undergoing allo-HCT. In addition, they (1) analyze hepcidin evolution following allo-HCT (after conditioning, during aplasia, during erythropoiesis recovery; relationships with iron overload and inflammation); (2) evaluate the prognostic value of pre-transplant ferritin values on various transplant outcome and toxicities, in relation with the type of conditioning (myeloablative or not); (3) follow the evolution of iron overload after allo-HCT and the impact of iron chelation; (4) evaluate the pathophysiological significance of ferritin levels following allo-HCT. Several parts of this project are undertaken in collaboration with the Hospital Center of Lyon-Sud. Clinicians at CHU have developed the ULICE program for autologous and allogeneic Hematopoietic Stem Cell (HSC) transplantation with family or unrelated marrow, peripheral blood or cord blood for malignant, genetic and other hematological disorders. The program is the second in size in Belgium (±100 transplants/year) and has received the international JACIE accreditation. Clinicians have also expertise in the investigation of immune functions after HSC transplantation or in certain forms of cell therapy. For more information, click here. One of the research teams at ULg is leading the field of volatile organic compounds (VOC) measurements in all kinds of biological matrices. The laboratory is equipped with state-of-the-art Separation Science tools and offers all possible sample collection and introduction devices (TD, SPME, mSBSE, DHS, SHS, SPE…), each being automated. Whole-body imaging for metabolic evaluation, receptor or gene expression, with or without full diagnostic contrast-enhanced CT imaging. 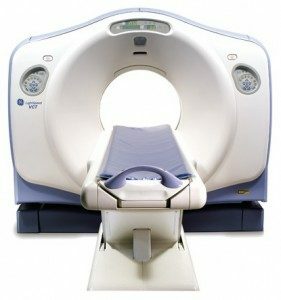 The Brilliance CT Big Bore (Philips) (fully fitted for RT Planning) is designed as a CT simulator to meet the needs of radiation oncology, focusing on accuracy, patient positioning, imaging performance and intuitive workflow. It provides spacial positioning accuracy of less than 2mm between the imaging plane and the laser marking plane for confidence in patient marking. Dermogenius®, a digitalized epiluminescence microscopy system offering a sequential follow-up of suspect pigmented lesions or patients at high risk for melanoma. High frequency (20Mhz) skin echography, the only imaging modality useful in the evaluation of superficial structures and irregular surfaces. This technique is also helpful in reducing invasive procedures and enables real time visualization of skin layers. Yttrium aluminium garnet (YAG) laser, a laser with the capability to reach deep layers of skin tissue and destroy diseased cells. CO2 laser, the highest-power continuous wave lasers, a very useful tool in surgical procedures (i.e. laser surgery and skin resurfacing) or to treat skin conditions. Inaugurated in 2015, the €7m investment in the endoscopy unit at CHU provides a wide range of technologies for both gastroenterologists and pneumologists. All diagnostic and therapeutic endoscopies, including ultrasound endoscopies, electrocautery, argon-plasma coagulation, cryotherapy can be performed in our department under local anesthesia, conscious or deep sedation. A day-clinic is integrated in the department as well as specific recovery room with anesthesiologists. All procedures can be video-recorded for the purpose of clinical trials. We also have at our disposal the cellvizio technique, allowing confocal endomicroscopic explorations. Furthermore, cryobiopsy, needle aspiration, brush biopsy or bronchoalveolar lavage techniques can be used to collect endoscopic biopsy samples, stored in our biobank. Breast tomosynthesis takes multiple X-ray pictures of each breast from many angles. The breast is positioned the same way as in a conventional mammogram but only a little pressure is applied. 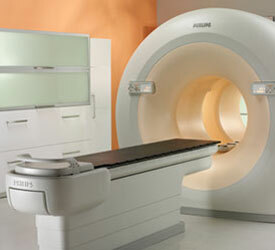 The X-ray tube moves in an arc around the breast to produce clear, high focused 3D images.